Brain Beauty Belief: Fun! Fun! Fun! 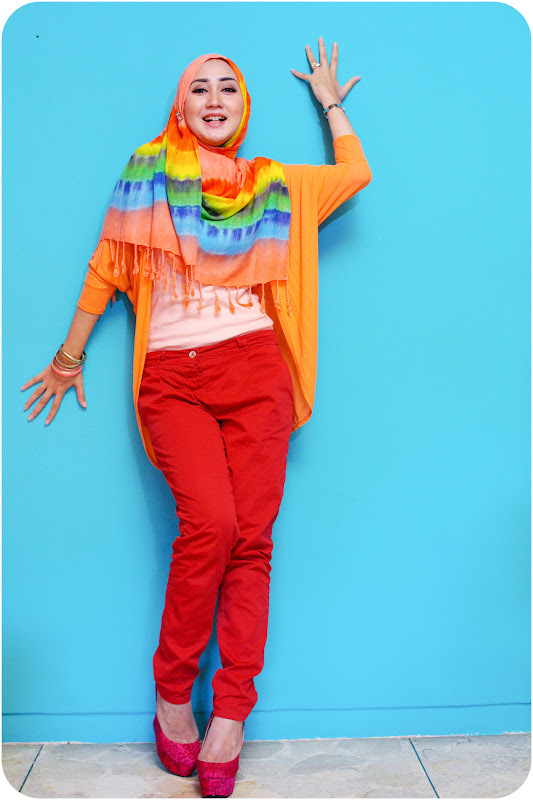 sukenye tgok ur style.. simple + colourfull..
Colorblocking! Love it. Love the colors. where to buy the shawl? Wowie you look so pretty, the colors make me happy. iu motif batik bukan y?